More than 50% of children have experienced some sort of teeth or mouth injury in their childhood. Most of the dental injuries that occur in adults include damages to the front teeth, gums, cheeks, inner jaws, lips and so forth. Mouth injuries are even more common as it can occur during sports injuries, falls and fights. However, most of these injuries are never fatal even though the injuries may have a long lasting effect on the appearance and the confidence of the person. Child injuries may develop when they learn to walk. Injuries can also occur when kids trip and fall with objects in their mouth. This where dental laboratories come in, as they can provide numerous dental solutions to people of all ages, including children, adults and the elderly. “It is quite essential to seek medical attention after a mouth or dental injury”, dentists recommend. It is quite pertinent to adopt various measures to prevent tooth and mouth injuries. These techniques can be adopted by kids, as well as by adults. One of the best methods to protect your teeth and mouth is to wear a mouth guard while playing any type of sports. Helmets can also be worn to protect the head although it will not grant protection for the mouth and jaw. Face cages can also be used to obtain protection from sports injuries. These equipment features offer protection while playing games like hockey, baseball and cricket. It is quite important to consult an emergency dentist after a mouth or dental injury if the bleeding persists for more than 10 minutes even after the application of pressure. In some extreme cases, there may be a deep gaping cut inside the mouth or cheek which requires immediate medical attention. It is also essential to seek medical attention in the following cases. The object struck in the tongue, cheek, throat or mouth. There are a large number of clinics that offer dental emergency services and even knocked out teeth can be repaired if it is returned to the socket within an hour. So it is quite essential to seek medical assistance of a dentist immediately. Moreover, there are many advanced dentistry solutions that offer dental implants in case of loss of permanent teeth. 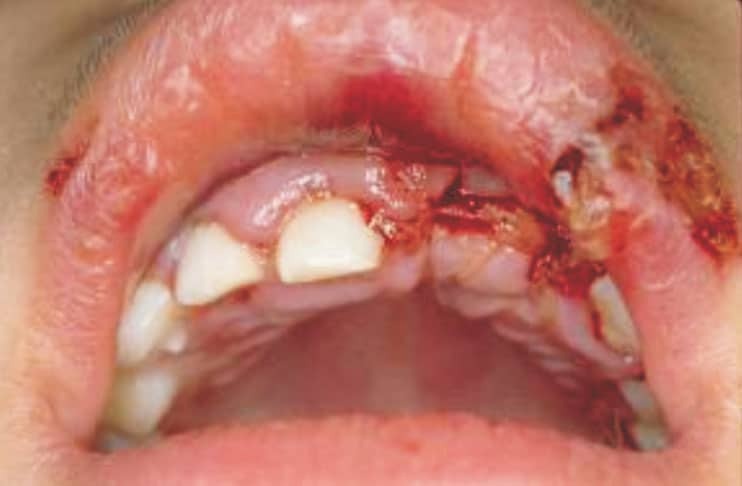 The treatment for mouth and dental injuries depend solely on the type of injuries and its severity. Small wounds may heal within a few days with various home remedies but large injuries and wounds require immediate medical help. There are many online resources that offer information and services for your local community. An example is an Alaska-based dental healthcare facility that offers emergency dentist in Anchorage services.